Deep Listening, explores the difference between the involuntary nature of hearing and the voluntary, selective nature of listening. 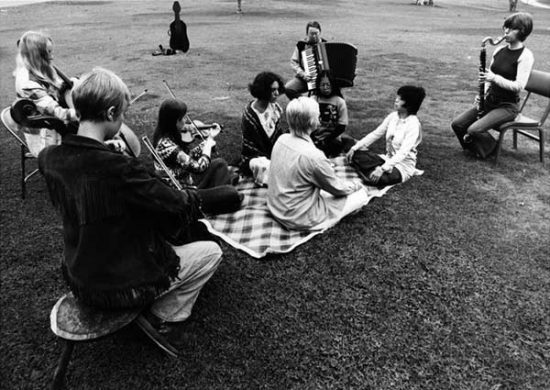 The practice includes bodywork, sonic meditations, interactive performance, listening to the sounds of daily life, nature, one’s own thoughts, imagination and dreams, and listening to listening itself. It cultivates a heightened awareness of the sonic environment, both external and internal, and promotes experimentation, improvisation, collaboration, playfulness and other creative skills vital to personal and community growth.